The James Bond franchise is entertaining and lucrative, but it’s not a very good way to learn about anatomy. That’s the conclusion of a neurosurgeon, who noticed that Spectre, the latest film in the franchise, fails rather spectacularly in its depiction of practical neurosurgery. When Dr. Michael Cusimano isn’t performing neurosurgery at St. Michael’s Hospital, he is watching James Bond films and reading James Bond books. This seems like a frustrating hobby for a doctor, since the James Bond franchise has famously promoted medical myths. 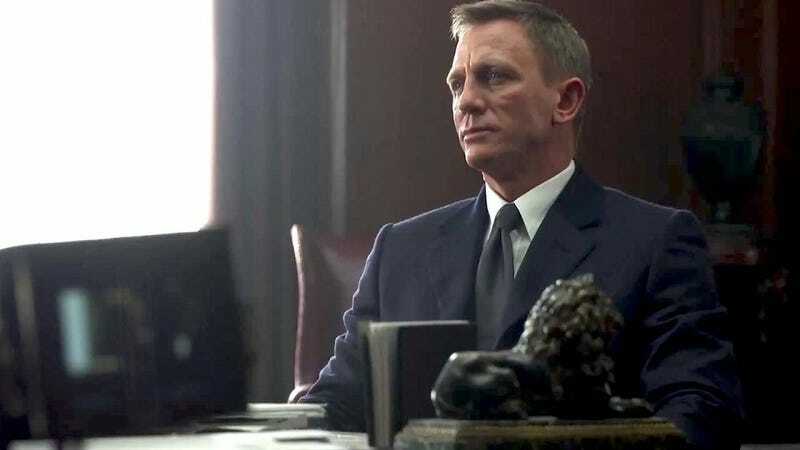 In Bond’s world, covering a woman with paint will kill her, and men can be trained to draw their testicles up into their bodies. Compared to that, Spectre does pretty well on the anatomy front, Cusimono writes in a Nature commentary. Ernst Stavro Blofeld straps Bond down and aims a drill at his head, hoping to erase his brain’s capacity to remember faces. Cusimano admits that the theoretical neuroscience is just about right. Blofeld wants to take out the lateral fusiform gyrus. The fusiform includes the “fusiform face area,” which involves facial recognition. Unfortunately, the film fell down when it comes to practical anatomy. They should have aimed the drill in front of the left ear, instead of below and slightly behind it. This simply will not do, Cusimano says, because “in terms of today’s precision brain surgery, the villain was nowhere near the brain.” It was near the vertebral artery, though, so instead of erasing Bond’s facial memories, Blofeld would probably have either given Bond a stroke, or killed him. Cusimano continues to study neuroscience and practice neurosurgery at St. Michael’s. Blofeld could not be reached for comment.